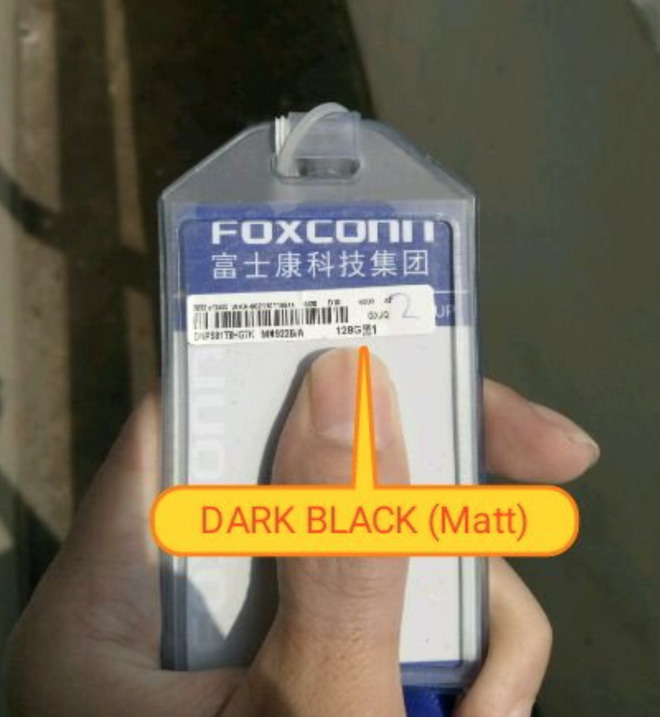 A pair of stickers allegedly used to identify test iPhones have popped up on Twitter, with the pair labeling units in the rumored "piano black" and dark black colors. The matte dark black prototype sticker was of a 128 GB model, with the glossy piano black model a 256 GB version. Both labels identify the test phones as model "D10," consistent with other leaked photographs of a running "iPhone 7." 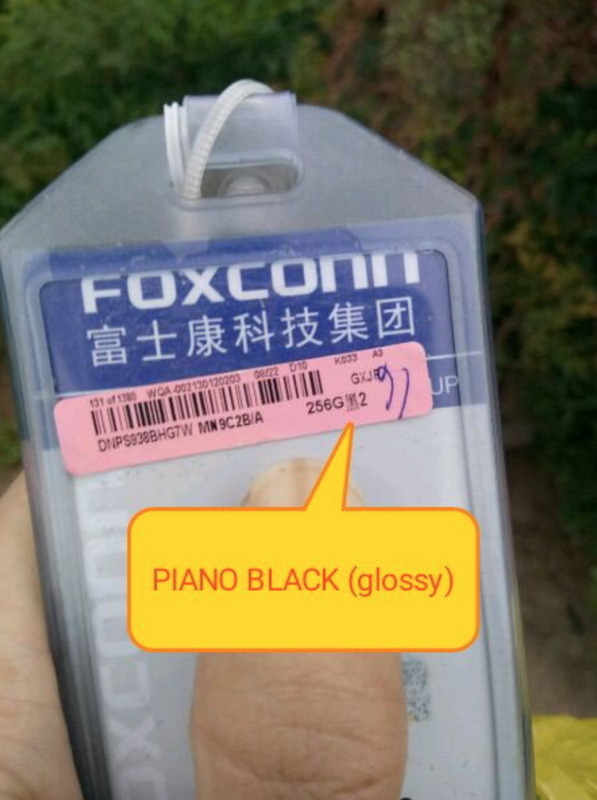 The the "piano black" prototype was scheduled to be returned on Aug. 22, according to regular Twitter leak source The Malignant. The Malignant has previously revealed that Apple at one point had at least three prototype varieties, including the D10, D11, and D12. Rumors once indicated that the company was considering three different "iPhone 7" variants including a "pro" model, but current rumors suggest that Apple will release the conventional standard and Plus models on Sept. 7. An analyst's note on Saturday reiterated much of the existing speculation about the "iPhone 7," including the two shades of black listed on Sunday's test stickers. Both new models of the iPhone are expected to ditch the legacy 3.5-millimeter headphone jack, implement the "A10" processor, and include an improved 3D Touch sensor. The "iPhone 7 Plus" is expected to have 3 GB of application RAM, and a 12 MP dual-lens rear-shooting camera.